An energy brand strategy that competitively positions our client as the best fuel provider for customers in a crowded market. As part of the UK Fuels Group, and a leading supplier of low cost kerosene (heating oil), gas oil (red diesel) as USLD (road diesel), Web Oil approached Parker Design to help it establish itself with customers and stand out in the crowded consumer energy marketplace. In helping Web Oil develop a brand strategy, it was necessary to gain a deeper understanding of the UK’s retail energy market. We found that although price was a significant factor for most consumers, the industry as a whole suffered from a lack of trust. Consumers expected prices to consistently rise over time, regardless of the economic outlook, and expressed doubt as to whether suppliers were focused on the best interests of customers. As a result, they actively shopped around for the best rates, but often didn’t feel compelled to switch suppliers due to concerns about complications or service issues. However, Web Oil had an advantage over competitors. Although customers could feel reluctant about switching, even when offered low energy rates, they were more likely to move to another supplier if they felt that they would experience significantly better service. 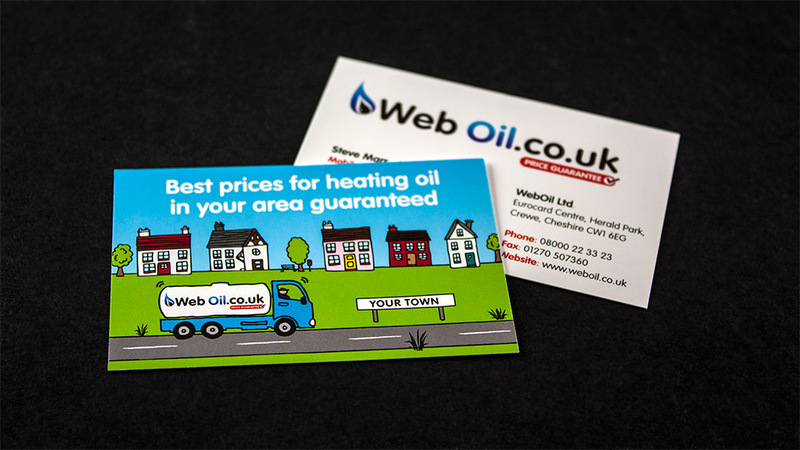 As Web Oil was focused on offering both exceptional service and the best possible heating fuel rates, we helped the client develop a brand strategy that would emphasise these attributes and deliver a unique proposition to customers in the market. Parker Design created a brand that demonstrated both the client’s commitment to service and their ability to offer customers value for money. 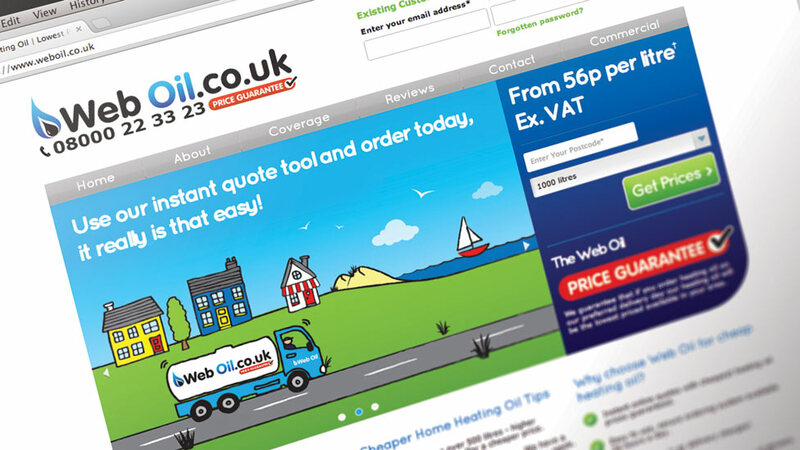 Our creative team developed a logo that was fresh, modern and clean, and highlighted the company’s easy-to-remember web address: weboil.co.uk. 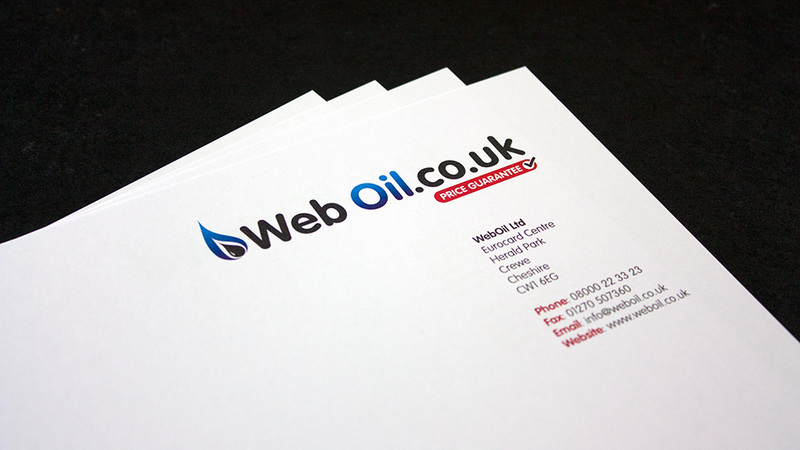 With reputation influencing buying decisions more than ever, it was important to roll out Web Oil’s energy brand strategy in a way that would deliver maximum industry impact. The logo and branding was added to anything that a customer might come in contact with, including freight delivery vehicles, local area leaflet drops and company uniforms. In addition, our digital team extended the brand values into the design and development of the website by prioritising simplicity and convenience. 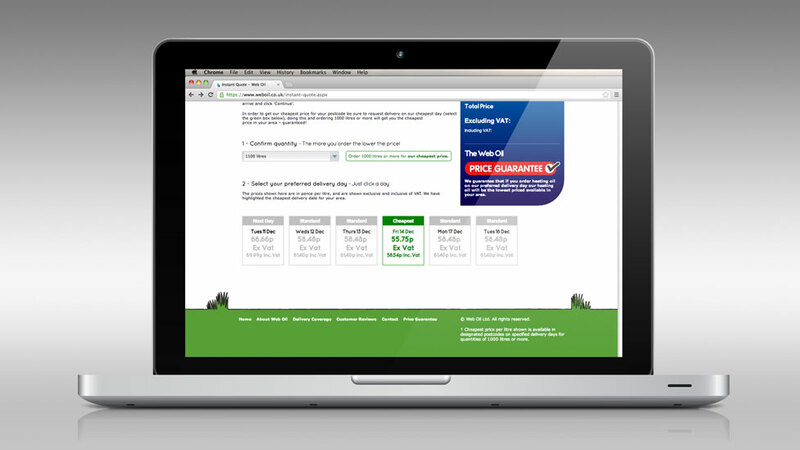 As online sales were an important part of the company’s business, we developed a user-friendly website that prioritised convenience with an instant quoting system that customers could use to calculate the costs of their order – whenever and wherever they liked. We also considered the company’s SEO rankings and how potential customers currently found heating oil providers. Since consumers conducted local searches on how to reduce delivery costs, we developed a website structure with local websites to address the needs of customers while also capitalising on their buying patterns. As a result, Parker Design was able to position Web Oil in the energy marketplace as a company that cares about the needs of its customers and is focused on delivering value for money. Our energy brand strategy has helped the client enjoy consistently high consumer recognition and see significant ROI within the first month of launching its new website.